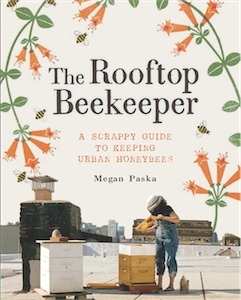 Friend, neighbor and fellow beekeeper Kelly York and I have created a social club for the lady beekeepers in NYC. We’re really excited about the opportunity to connect with other female beekeepers in the area, make friendships and share urban beekeeping anecdotes with one another. Monthly meetings will start in April and will consist of casual meet-ups and hope to eventually involve speakers and social events! This group is open to aspiring beekeepers as well, and we’d like to note that while our goal is to foster community among female apiarists in the city, we would never turn around a gentleman that wants to participate in learning about beekeeping and sharing ideas. Just don’t come around looking for a date, ya hurd? Please check out our Facebook Fan Page and give it a follow, or just check in here to find out when and where our first meet-up will take place!